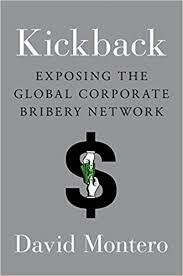 Kickbacks Research Papers examine the term of procurement and the governments level of involvement with this type of kickback. With the increasing trend towards a straight line focus in today’s business environment, procurement is something that corporate culture is being built around today. Few companies can afford to be vertically integrated, thus causing a large need for outsourcing to suppliers. As focus becomes more important, procurement is becoming more strategic. Procurement kickbacks are something that could make or break a company in today’s increasingly cut throat environment. Through examining the procurement process on both the federal and private levels it will be evident the kind of effect kickbacks can have on the process. The most talked about type of procurement is at the government level. In most cases, bureaucracy is the term that first comes to mind when thinking of government trying to purchase an item. A good example of the this is the government trying to purchase information technology equipment. This procurement can require a proposal of up to one thousand pages and take forty-nine months to get through the system. Imagine how useful a computer would be today that was requested over four years ago. Another fine example of our ever efficient government procurement process is seen through the Defense Department. During Reagan’s defense build up in the 1980’s there were seventy-nine separate offices that issued acquisition regulations. These regulations covered everything from uniforms to submarines. Overall the regulations equaled five times the length of Tolstoy’s War and Peace. One can see the need for rules and regulations when dealing with the contracts for an entire nation, but can there be too many rules and regulations? In 1992 productivity per contract specialist fell from $9.4 million in 1980 to $6.2 million in 1992. At the same time the core procurement workforce grew by twenty-five thousand across the government. These numbers basically illustrate how the increasing bureaucracy in our procurement system is making the government even less efficient. Paper Masters writes custom research papers on Kickbacks and examine the term of procurement and the governments level of involvement with this type of kickback.